Prince Farondis: (Name). Warlord Parjesh ran into the magical vortex just ahead. 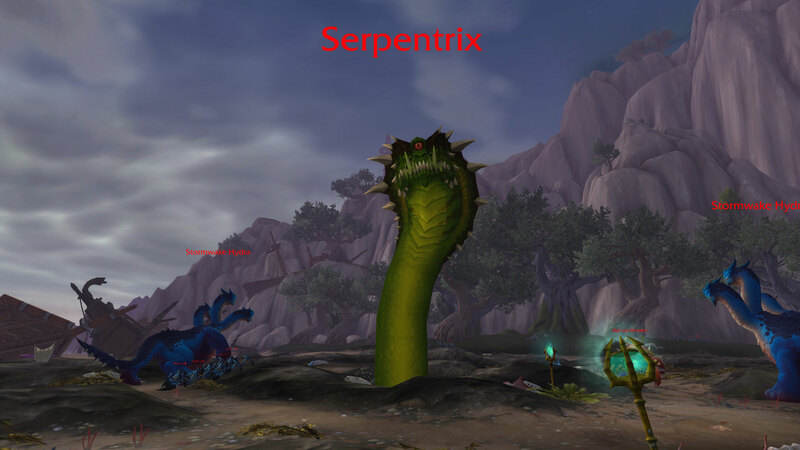 He has returned to an island off the shore to the southeast where Queen Azshara is staging more of her forces. The queen is beyond angry because we opposed her. Even now, she is summoning up a monstrosity known as her Wrath to exact revenge for our defiance and drown the Broken Isles. 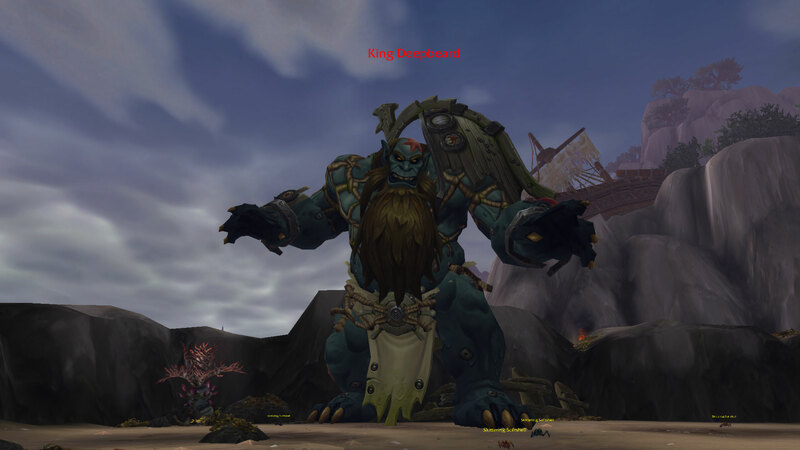 You must defeat the Wrath of Azshara before the queen lets it loose to destroy us all! 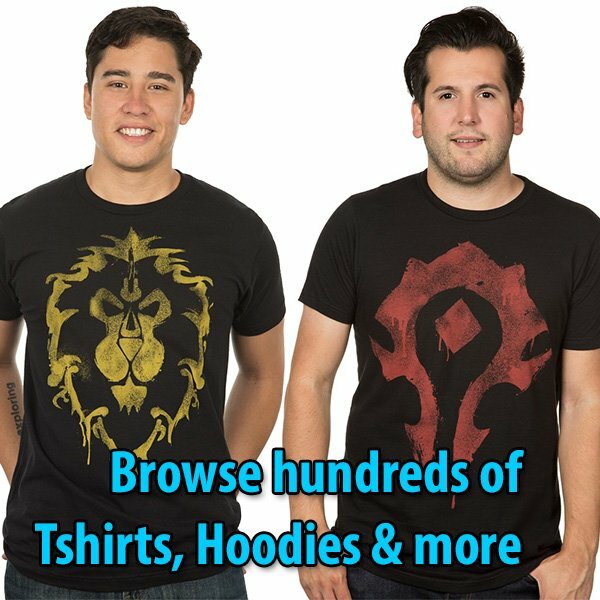 Enter the Eye of Azshara, then defeat Warlord Parjesh and the Wrath of Azshara. 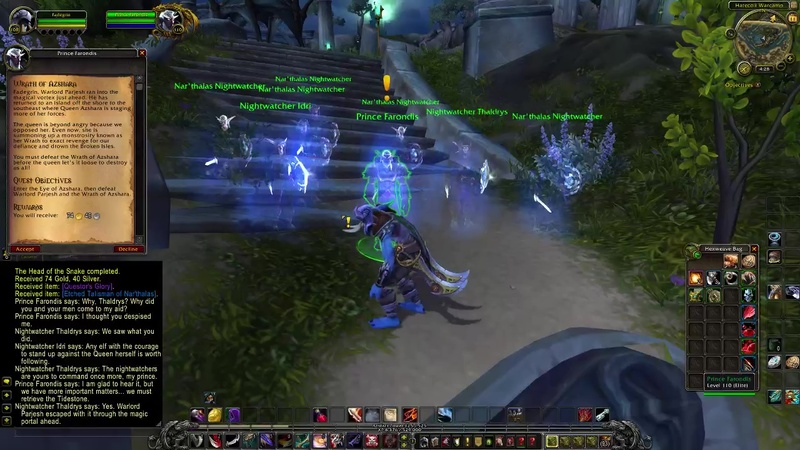 NOTE: This quest sends you to the Eye of Azshara dungeon. Queue-in at the Dungeon Finder to find a group. Eye of Azshara — Enter the Eye of Azshara and stop the Wrath of Azshara from being unleashed upon the Broken Isles. Hatecoil Wrangler: The landwalkers are here! We will drive them back by salt and scale! This fierce commander oversees the military might of the naga that have overrun Azsuna in search of the Tidestone of Golganneth. He is second only to Athissa among the Hatecoil, and commands obedience with an equal measure of fear and respect. Overview: Warlord Parjesh calls in reinforcements to assist him in combat and throws [Impaling Spear], striking the first target in a line and inflicting massive damage. Warlord Parjesh: Guardians of the ritual, prepare yourselves! She will not be disappointed! Warlord Parjesh: Hmph,. Intruders. They will not get far. Warlord Parjesh: Ah, we meet again, weakling. Now it’s just you and me… and my guards! Warlord Parjesh: Hatecoil, drown them out! Ha, nowhere to hide! Warlord Parjesh: Fools! Get out of the way! Hatecoil Arcanist: The shielding weakens! Hatecoil Arcanist: Lady Hatecoil is vulnerable! She must not fail! 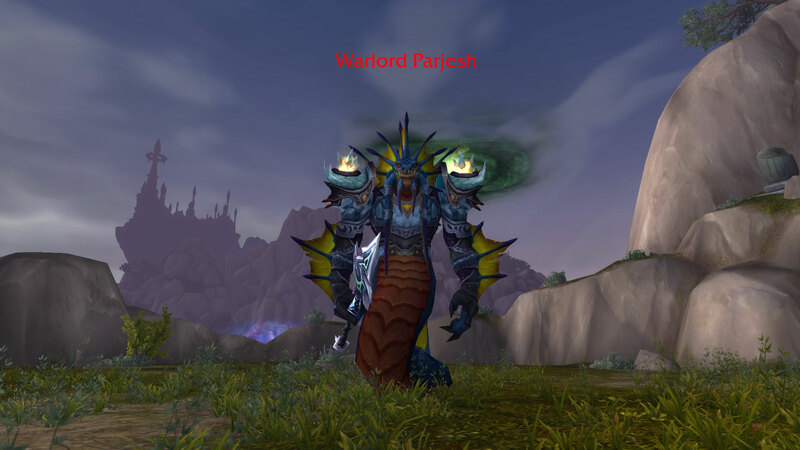 This naga sea witch hails from a long line of Hatecoil nobility, favored by Queen Azshara herself. The waves and the skies heed her call, as she harnesses their power to crush any who would oppose the Hatecoil. Lady Hatecoil: Continue the ritual! I will handle these fools! Lady Hatecoil: The waters rise… There is no escape! Sailors tell of a behemoth that strides the ocean floor, surging from the depths to tear vessels apart with his barehands. They say he wears the intact prow of a ship as a pauldron — as a trophy. Most listeners dismiss these reports as fools’ tales, the product of too much grog. Wrath of Azshara: THE STORM AWAKENS. Ritualist Lesha: No! The ritual is not yet complete! Binder Ashioi: It is still forming! Channeler Varisz: We need more time! Wrath of Ashara: THE TIDES RISE! ALL WILL BE ERADICATED! One of Azshara’s most loyal handmaidens offered herself willingly to her Queen to serve as the instrument of her vengeance. 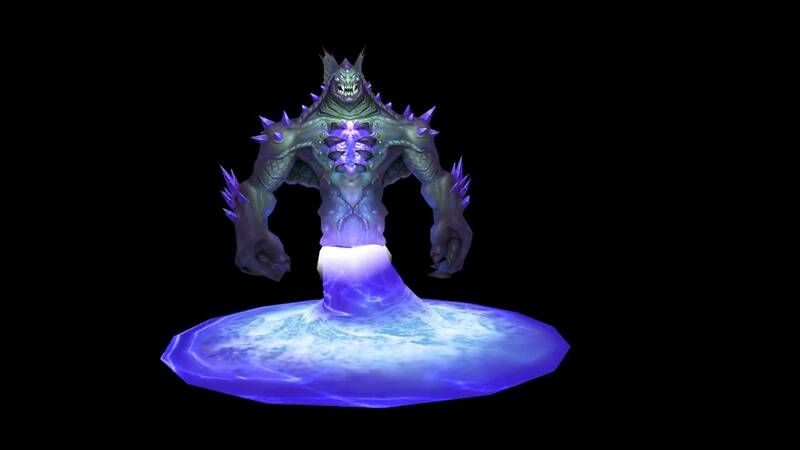 Summoned by Hatecoil channelers as a last resort after Parjesh’s failure, the terrifying Wrath of Azshara exists to wash away all landwalkers who would stand against her.